Motorhomes come in all shapes and sizes. Because of this, motorhomes are typically categorized into three different classes: Class A, Class B, and Class C.
This article will focus on Class A Motorhomes: the biggest of the three options. We’ll take a deep dive into the details of these motorhome behemoths, so you’ll be squared away with the knowledge you need to make a decision on a Class A motorhome. And if you’re considering a Class B or Class C motorhome, you can take a look at the differences between all three motorhome types. Did you leave already? No? Good. So let’s get started. Class A motorhomes are constructed durably and have a large, heavy-duty metal frame. The specially designed chassis for these motorhomes are almost identical to the chassis used for 18-wheeler big rigs. Now, that should give you an idea of how sturdy these motorhomes are built to be. Anyone looking for a Class A motorhome will see a fairly wide range of size options. The smallest Class A motorhomes can be found at 21 feet long, while the largest options can go all the way up to 45 feet long. Even the largest 45-foot options are fairly easy to drive. Class A motorhome drivers do not require a special type of license in order to operate the vehicle. 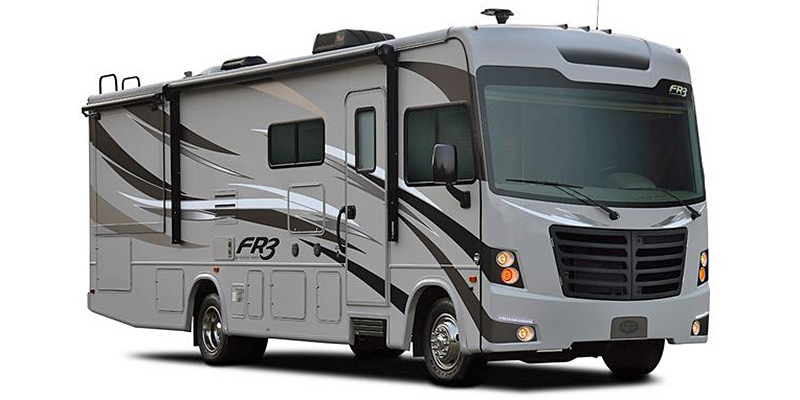 These large motorhomes also use big, 22.5-inch wheels in order to support the heavy, durable frame of the motorhome. The one downside to Class A motorhome is they have a poor fuel economy of 8-10 miles per gallon. The motorhomes are either powered by gas or diesel engines, and the diesel engine options typically offer a marginally better fuel economy. Unlike an 18-wheeler, these large motorhomes are built for luxury and comfort. This motorhome type is typically the most expensive option, but it also offers the best amenities and comfort for long trips. Class A motorhomes often have multiple slide-out sections on the sides that allow the motorhome to increase its space in living and kitchen areas. The motorhomes also typically offer central heating and air conditioning for even more comfort. Anyone who wants a fully-equipped kitchen with a full-sized fridge and plenty of counter space will want a Class A motorhome. These large rigs offer the space and comfort to accommodate impressive kitchen sizes. And with the motorhome’s size, there are still many nifty tricks and designs that allow for increased storage space and extra sleeping areas. For example, some motorhomes offer drop-down bunks. With a simple press of a button, a bunk drops down from the ceiling and creates a sleeping area essentially out of nowhere. In addition to increased living space and a large kitchen area, many Class A motorhomes also offer entertainment centers for people to enjoy during a long drive. Flat panel HDTVs and cozy recliner chairs often inhabit these areas and allow for easy entertainment options for guests riding in the motorhome. How Many People Will Fit? Your typical Class A motorhome fits anywhere from 4 to 8 adults. Meanwhile, plenty of our RV fleet options can fit up to 10 people with 5 adults and 5 kids staying on board. How Much Can They Haul? Most Class A motorhomes are able to haul up to 5,000 lbs. With this large towing capacity, most drivers will be able to haul a personal vehicle behind the motorhome so they can easily access spots inside of cities that may be difficult to reach in a large motorhome. Once you’ve parked your motorhome at your preferred destination, you’ll be able to take your personal vehicle to further explore the area. If you’re looking for a motorhome to take on a long family road trip that offers comfort and luxury, the Class A motorhome is the ideal option for you. This largest motorhome type offers the space and comfort to give you and your family a motorhome away from home. For more information about Class A motorhomes, feel free to contact us. Our motorhome experts can offer any advice you require for your motorhome needs.